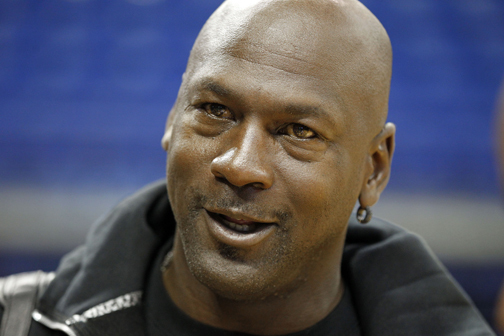 CHARLOTTE, N.C. (AP) -- Charlotte Bobcats owner Michael Jordan is changing his team's name to the Hornets, said a person familiar with the situation. The person said Jordan will detail the timetable for the change to be completed at a press conference the Bobcats have scheduled for Tuesday. The person spoke to The Associated Press Monday on condition of anonymity because the name change has not been publicly announced. NBA deputy commissioner and COO Adam Silver previously said it would take "about 18 months" for the Bobcats to change their name. That means Charlotte could once again become the Hornets by the 2014-15 season. The Hornets resided in Charlotte from 1988-2002 before then-owner George Shinn moved the franchise to New Orleans. The New Orleans Hornets recently changed their name to the Pelicans. Silver said in an April interview if the Bobcats decided to change their name to the Hornets it would be "an enormously complex process and a very expensive process for the team. From everything to the uniforms, to the building, to the letterhead to the signs on the offices — all of that has to be taken into account." While he didn't estimate how much the change would cost, Silver did say the fact that the league owns the rights to the name Hornets could help speed up the transition process. "I'll let (the Bobcats) speak to their own time line, but we're supportive of whatever they do," Silver said in April. The Bobcats conducted a Harris Interactive poll in January to determine if fans were in favor of a name change. The Bobcats have never announced the results of those polls. The name Bobcats originally incorporated the first name of the team's initial owner, Bob Johnson, who later sold the team to Jordan in 2010. In February, Jordan weighed in on the idea of changing the team's name to the Hornets in his monthly "Chairman's Corner" column on the team's website, but was non-committal on his intentions. "Judging from the emails you've sent me, the opinion seems to be very mixed," Jordan said on the team's website. "Some of you have said we should change the name and some of you have said we should not. In fact, a few of you even suggested that we should change the name to something new altogether, and not use Bobcats or Hornets." Jordan added that "there are a lot of factors to take into account and a lot of information to sift through. This is a decision that we will not take lightly and we will not make hastily. We want to do what we believe will be in the best interests of our organization and our fans." The NBA board of governors is scheduled to meet in July and it's possible they could vote on the name change at that time. Although the Hornets never experienced much playoff success in Charlotte, they were extremely popular team among fans. The Charlotte Hornets had a sellout streak of 364 games — a span of nearly nine seasons — before interest began to sag in the final years and Shinn relocated the team. The Bobcats haven't been nearly as popular in part because of their struggles on the court. They've only been to the postseason once since they began play in 2004 and finished the 2011-12 season with a 7-59 record, the worst winning percentage (.106) in NBA history.